AeroVision International (Muskegon, Michigan) announces the acquisition of an additional 6 ERJ-145 / 50-seat aircraft. 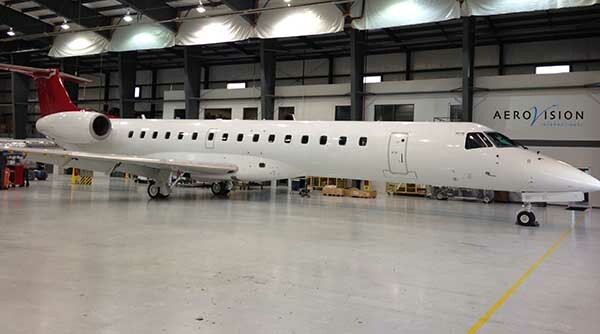 The aircraft will be added to the existing 36 ERJ-145 LR aircraft AeroVision has previously acquired and will be either returned to service via outright sale/lease or “reduced to spares” as part of AeroVision’s ongoing support of the Embraer ERJ fleet. AeroVision was among the first to enter the ERJ airframe parts business with the 2012 acquisition of 10 ERJ-145 LR’s formerly operated by Mesa Air Group and has become the largest independent supplier of ERJ material / major subassemblies (landing gear / APU’s / AE3007 engines) in the world, supporting both regional airlines and corporate / shuttle operators. Additionally, AeroVision has managed the refurbishment and return to service of numerous ERJ-145LR’s to date and has several additional refurbishment projects to be announced shortly.